The super cool holiday cards keep coming in today’s roundup, which includes beautiful hand cut papercut designs, completely kawaii illustrations, plantable greetings, and the perfect card for the Star Wars superfan. 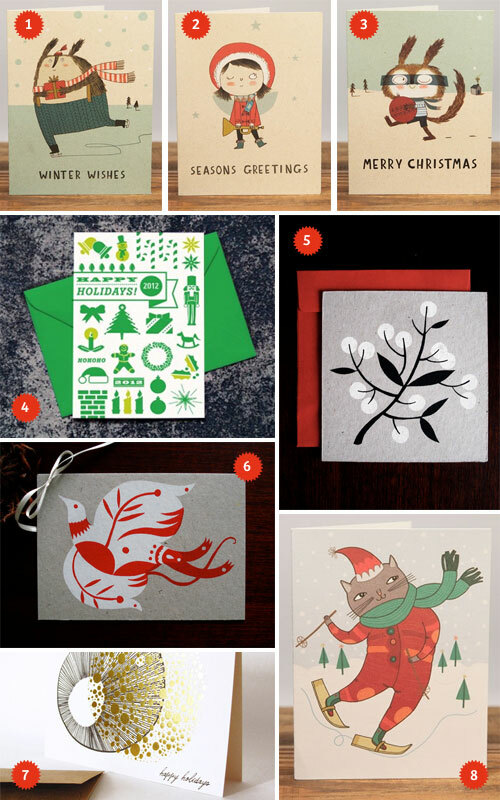 Be sure to head over and check out parts one and two of my holiday card roundups, too! Can you send Christmas cards at non-Christmas time? Because I like all of these. I need more people to send them to!! thanks for featuring our mythical cards this year! Thank you so much for featuring our card!! Happy holidays! 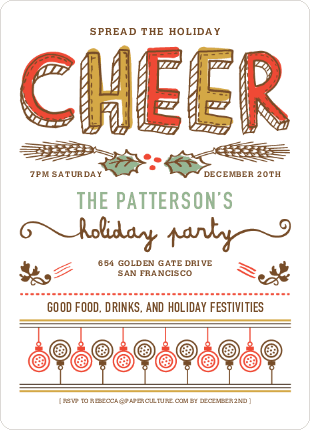 Kristen- Thanks so much for featuring our hand printed, eco-friendly holiday sweater cards today! What an honor. Thanks for including some of our cards in your roundup! Happy holidays! 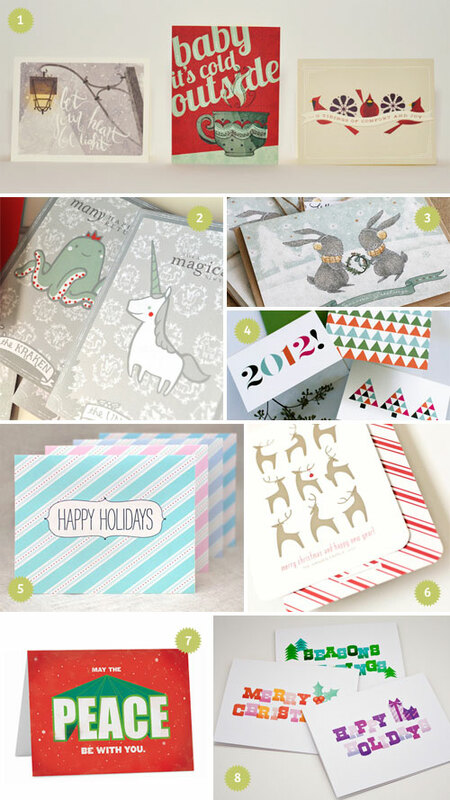 Thank you for including our Spread the Cheer Holiday cards in your round up. We appreciate it! Have a Warm and Happy Holiday. Cheers! Thanks for featuring our Warm Holiday set in your lovely collection! Happy holidays!